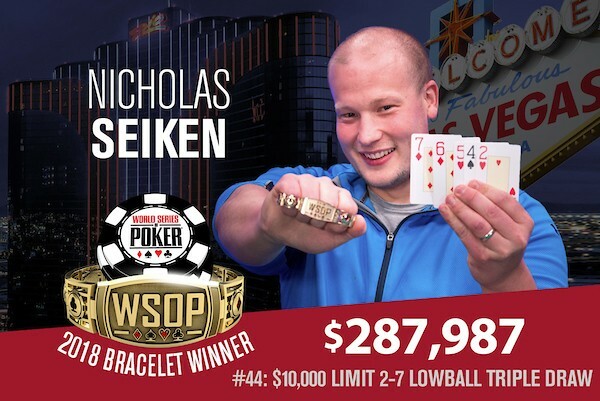 Despite never having played in a triple draw tournament before, Nicholas Seiken somehow managed to navigate his way through a field of 109 in the $10,000 deuce-to-seven lowball triple draw event at the 2018 World Series of Poker to earn his first bracelet and the $287,987 first-place prize. Seiken, a 29-year-old real estate investor from Ft. Worth, Texas, had to overcome a tough final table that included top pros Matt Glantz (5th) and Kristijonas Andrulis (3rd), as well as bracelet winners Farzad Bonyadi (4th), and Randy Ohel (2nd). Hanh Tran, who bubbled the official final table to finish in seventh place, was just one week removed from having won the $1,500 triple draw event. Ohel, whose bracelet came in the 2012 $2,500 triple draw event, earned $177,992 for his second-place finish. He now has ten final-table appearances on his WSOP resume, including three runner-up showings. 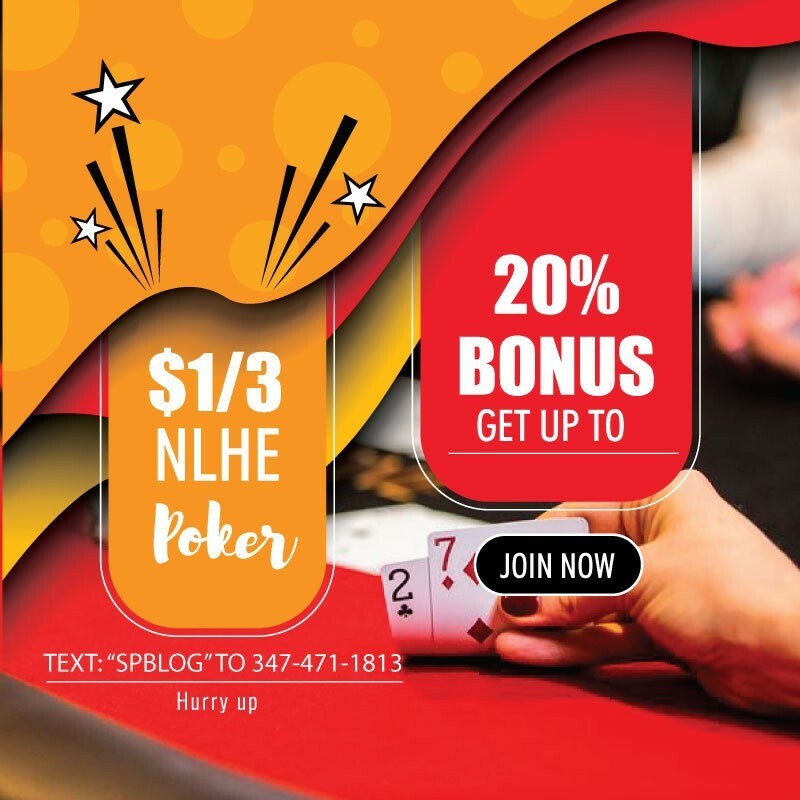 Other notables who finished in the money included Michael Noori (9th), Calvin Anderson (12th), Mike Matusow (14th), and Todd Brunson (16th).